Last month, the In Box laid out the considerable hurdles that Republican challenger Mitt Romney faces as he tries to unseat President Barack Obama. The Republican has to overcome a systemic tilt which, even with the popular vote nearly tied at present, currently gives the Democrat a 50-70 vote advantage in the electoral college. If the vote were held today, Mr. Obama would likely receive only a slight plurality of the popular vote, yet he would prevail with landslide numbers in the electoral college, winning by 332 to 206 margin. Which means that to win, Romney can’t fight a trench warfare battle, muddling forward state-by-state. His margin for error is just too thin. Instead, he has to claim the high ground in the national narrative. That means finding a way to fundamentally redefine Obama in the mind of voters, particularly the independents in a half-dozen swing states that will decide the outcome. In other words, he has to do to Obama what George W. Bush did to Al Gore and John Kerry (and what Ronald Reagan did to Jimmy Carter). So far, Romney hasn’t pulled that off. Instead, he’s relied largely on the broad conventional wisdom within the conservative movement that the sputtering economy alone will define Obama, convincing centrist voters that his election in 2008 was a mistake and an aberration. It’s true that the high unemployment number has left the president vulnerable. So long as hiring remains stagnant, this race will remain competitive. But with fewer than 120 days to the election, right now it’s the Democrats who control the narrative. It’s an astonishing turnabout for a party which for two decades was flummoxed and muddled by the conservative message-machine, tossed on the defensive by Willie Horton and Swift Boat type attacks. In this election cycle, by contrast, the Obama campaign has embraced sharp-elbow tactics similar to the ones pioneered by right-of-center pols like Lee Atwater and Karl Rove. 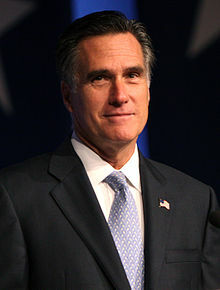 Team Obama has focused media attention successfully on Romney’s tenure at corporate giant Bain Capital, often bending or shading the truth in order to paint the Republican as a slick corporate operator. While fact-checkers have dismissed or downplayed many of the Obama campaign’s claims — about outsourcing and about Romney’s overseas investments — the story-line has still gained traction to a degree that no challenger can afford. There’s an old saying that if you’re on the defensive in politics — if you are struggling to explain how your opponent is cheating or playing unfair or lying — then you’re losing. Mitt Romney has demanded an apology and suggested that Obama should apologize. Meanwhile, it’s almost impossible to find a clear Republican line of attack that might define (or redefine) Obama in voter’s minds, at least in a bold enough way that would benefit Romney. The GOP has attempted at various times to brand Obama as incompetent, anti-American, naive, and cynical. One moment he’s a cold-hearted Chicago pol, the next minute he’s an underachieving, in-over-his-head bumbler. The narrative is further muddled by the fact that it often gets tangled up in conservative conspiracy theories, from birtherism to claims that Obama isn’t a Christian. Another problem: Many of the surrogates attacking Obama have been clumsy, hysterical or outrageous. The Swift Boat attacks on Kerry in 2004 were highly disciplined and effective. But the end-times hand-wringing of Glenn Beck in 2012 discredit the larger, more plausible argument that the Democrats simply don’t have a credible plan to revive the national economy. Finally, it hasn’t helped matters that Romney has failed to outline any real or substantive plans for what he would do if elected to the nation’s highest office. Even many conservatives, including Karl Rove, have begun demanding more specifics. The good news for Romney is that he has a ton of cash to use to tell his story. Also, conservative anger at Obama, along with the sour economy, have kept the Republican in the game. Sometimes, as a challenger, the best you can hope for is to stay close and hope that something goes your way. You might catch a break and find an opening to surge ahead. It worked for Ronald Reagan, who rode a late surge to the White House in 1980, after trailing in the polls through most of the campaign. But Reagan had a clear, positive, ambitious story to tell. With the weeks ticking by, it appears so far that Team Romney hasn’t figured out what narrative it wants voters to remember on election day –about their own candidate or about our current president. Trump’s message to small town white America: What do you have to lose? How do we know he isn’t a tax cheat? Was he ever audited? It is good to see that folks want to stay focused on the real issues facing the country. Geitner wasn’t a tax cheat. That is just media spin. The system is so screwed up that it is easy to make a mistake. It is designed for one thing to keep lawyers and accountants in business. Geitner is a good guy and very competent. It is a strike against the president that he is leaving the cabinet. Same goes for Hillary Clinton. These are the things the Obama campaign should be telling us, who does he plan to fill these important posts (what are they jumping ship?) Same question stands for Romney (not the second part). Focus on the real stuff not this kind of crap we see discussed here and over the weekend in the prtess. But as you can even see from the comments here people love it. Well, we know who isn’t going to be on the cabinet, Elizabeth Warren, Paul Krugman, and Howard Dean. Kucinich probably doesn’t have a shot either. Okay, I’m over Romney’s tax disclosure. What is next? Wait! What?????! Romney saved the Winter Olympics in Salt Lake by buying clothing from slave labor in Burma??? Weren’t they under a trade embargo? “The torch relay clothes were NOT made in Burma. They were manufactured in Myanmar,” the organizing committee responded. Knuck, it sounds like you have a good handle on the important issues. “Olympic uniforms made in Myanmar”. I hope this is covered in detail in the debates. The presidents team are brilliant right now. The data on the economy is terrible but the focus is on Bain and apparently things like who made the torch relay clothes back in whatever year that was. Paul, I hardly think the Huffington Post is Obama’s team. And can I help it if Romney’s life reads like an Onion story? I mean seriously, he a white mexican mormon guy who bullied gay guys at prep school paid for by a father who invented the AMC Pacer!!! He made as much money as Richie Rich and his wife owns stacks of Cadillacs at each of the 54 homes they own (one in each state, the District of Columbia, Puerto Rico, Guam, and the Virgin Islands — that way he can be the hometown boy in each voting region) and when his kids ask for a pony for Christmas he gets them an Olympic Dressage horse. And while Liberals have been running around with our hair on fire for a decade or more about the co$t of neverending war running up the national debt and high unemployment through the Bush years, and corporate greed destroying American’s lives by crushing them with debt and killing jobs at home and nobody can afford health insurance and their homes have been taken by the bank all of a sudden you’re going to lecture ME about “data” on the economy! Sorry, I thought you were being funny. The key Knuckle is that YOU can’t be rich but you have to KNOW a lot of rich people to get elected. Its tough out there. That comment is good. It hits on all the talking points as fed through one lens. Unemployment was much lower during the Bush years than the Obama years. I know, I know, that is the fault of other people and other factors. But your lecture point above in not factual. If you believe jobs weren’t a problem during the Bush years you don’t remember very well. Gietner did not pay 35,000 in taxes that he owed. He said it was a mistake, fine I would imagine most people who don’t pay their taxes would say that. Is that a cheat? I don’t know it is certainly more of a concern given that he is in charge of other US citizens paying their taxes, than Romeny’s tax returns. He is part of the elite rules don’t apply to me mentality that runs pretty deep in these sorts of people. The guy has an MA in Economics is very smart, and he claimed gee this is hard stuff I didn’t know….. come on. It is just so classic that our Treasury Secretary didn’t pay his own taxes, it is indicative of what is becoming wrong with our country. Hillary on the other hand, is a great Secretary of State particularly in the past 18 months.